Congratulations to Nathan Walters, M.D., CSC’s Director of Pain Management for being recognized as one of “America’s Most Compassionate Doctors“. The award, based on reviews written by hundreds of patients is part of the Patients’ Choice designated honor. Only a select few doctors receive praise about the compassion that accompanied the care received by patients. The Compassionate Doctor notation will be prominently displayed in Dr. Walters Physician Profile on a broad collection of web sites, including Vitals and a variety of managed care sites. These web sites are viewed by more than 9 million people on a monthly basis. I live in New Jersey, I have traveled to Texas many time because of my back situation and Dr. Walters has done many procedures to me and several tests. It is worth the traveling to Have a Dr. that really cares about his patients. He listens to your problems like your a family member. He is not only the best pain management Dr. I have ever met, he is actually a friend. If you need any kind of medical help, he is the man and worth the trip from anywhere. Thanks Doc. I am a woman who is extremely modest. I see only female doctors in every aspect of my health – even my dentist. I chose the Center for Spine Care because of its reputation. I knew that anyone “messing around with my spine” had to be THE BEST, no matter their gender. Dr. Walters not only makes my back better, he so respectful and truly compassionate. I wouldn’t have anyone else. Thank you Brandi. We are so glad you are feeling better! I went to 2 other pain management doctor’s before finding Dr. Nathan Walters. I will not go to anyone else as long as he is within driving distance of me. He is very kind & thorough & explain’s the procedure’s to me to where I could understand. 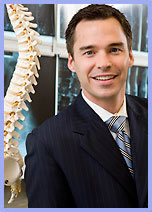 I will recommend Dr. Nathan Walters with Center for Spine.